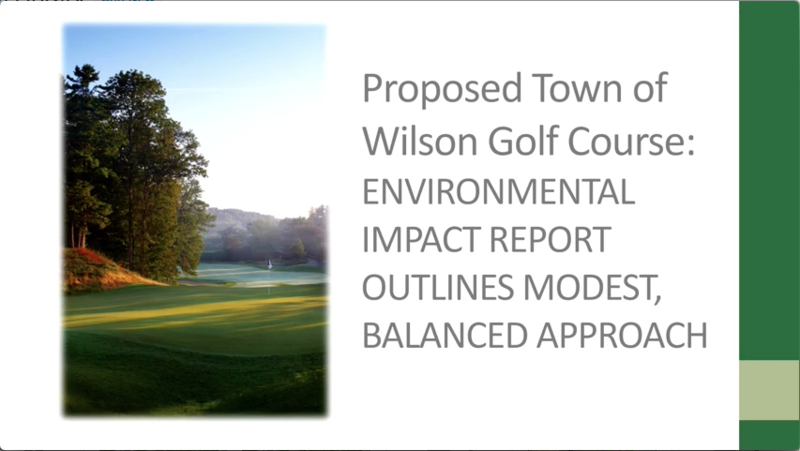 Kohler Co.’s proposed 18-hole, public golf course in the Town of Wilson represents an extraordinary opportunity to open the land the company has owned for more than 75 years, creating public access and ensuring minimalist development for the future. We first unveiled the golf course project in early 2014. In the interest of making the public aware of the company’s intentions as early as possible, we shared high-level plans prior to detailed engineering and design. Over the past several months, our plans have evolved based on the results of our due diligence and field work, as well as valuable input from the public. We have made concerted efforts to minimize, avoid or mitigate the potential environmental impact. This balanced approach sharply reduces wetland impact, significantly cuts the impact to state parkland, provides added protections for wildlife and habitat, reduces invasive species and adopts sound management principles while opening the land to the public. As one significant step in an extensive review and approval process, Kohler recently filed a comprehensive Environmental Impact Report with the Wisconsin Department of Natural Resources. This science-based engineering analysis highlights a number of important issues, including impact on wetland, land use, sensitivity to wildlife and habitat, sustainable practices, surface and groundwater protection, public access, economic impact and more.